Filmmaker Chris Wedge helms the upcoming larger-than-life “Epic” based on the beloved children’s book “The Leaf Men and the Brave Good Bugs” by William Joyce which introduced Samurai-like warriors, the Leafmen– and a war being waged in our own backyards between the forces of life and the forces of decay. 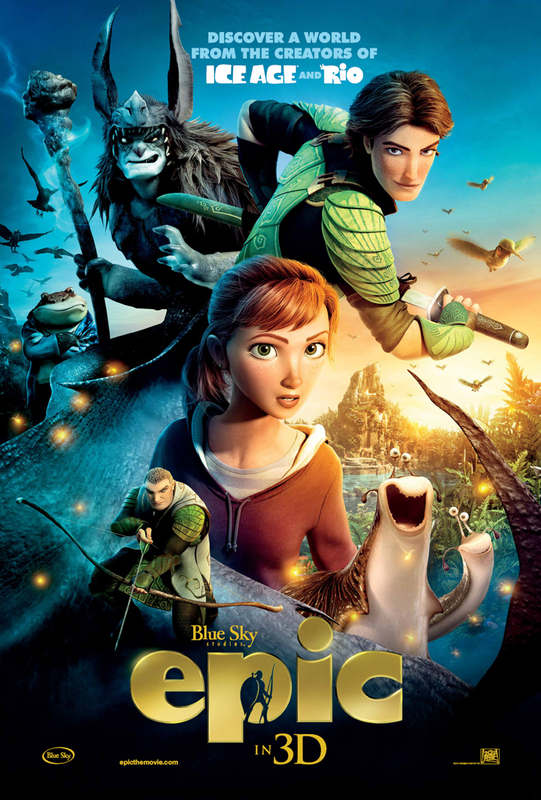 In the thick of adventure in “Epic” is a smart, spirited and headstrong 17-year-old named Mary Katherine but prefers to be called MK (voiced by Amanda Seyfried). She returns to her childhood home to reconnect with her estranged father, Professor Bomba (Jason Sudeikis), M.K. loses patience with his endless stories of unseen people who live in the woods. But when she is magically transported into the Leafmen’s world, she gains a new perspective. To find her way home, M.K. must do more than believe in this world; she’ll have to help save it. The film’s visual wonders breaks new ground in animated spectacle, realism, action and adventure, but it is Epic’s characters and the actors who portray them that take center stage. Along with Seyfried’s and Sudeikis’ voices in “Epic” are Beyonce Knowles, Aerosmith’s Steven Tyler, Colin Farrell, Josh Hutcherson, Pitbull, Blake Anderson, Aziz Ansari, Chris O’Dowd and Christoph Waltz. The ongoing battle between good and evil in “Epic” transports MK in a secret universe where she teams up with an elite band of warriors headed by Ronin (Farrell), Nod (Hutcherson), a crew of comical creatures including a snail named Grub (O’Dowd), a slug named Mub (Ansari) and the Leafmen’s queen, Queen Tara (Knowles). Together they fight to save the forest from the Boggans headed by Mandrake (Waltz) and his son Dagda (Anderson). In the midst of it all is a caterpillar named Nim Galuu (Tyler), a consummate party animal whose practical know-how make him a key player to save the forest. Between the forces of light and darkness is Bufo (Pitbull), a tough-guy toad who is a wheeler and a dealer who likes to play all the angles no matter which side wins or loses. “Epic’s” world is lush and alive through Michael Knapp’s supervision, the movie’s art director in charge of designing characters, colors, environments, textures, story and lighting. Working with Chris Wedge and artists to transform the familiar environs of a woods into a kind of alien universe, where the colors are more vivid, the light more expressive, and vegetation sways as if it were consciously alive. With these departments achieving unprecedented levels of realism and spectacle, Wedge singles out “pushing the animation further than ever before” as another formidable creative challenge. “Our characters in EPIC are the most sophisticated-looking and human-looking of all our Blue Sky Studios projects,” he says. Colin Farrell who voices Ronin enthuses on making the film, “The film is epic by name, epic by nature and epic by experience.” The Blue Sky Studios team has no bigger fan than Beyoncé Knowles, who says, “The animators based much of their work on footage of the actors recording our lines, so my facial expressions and body language have become part of Queen Tara. Action is also king – or, in this case, Queen – in EPIC, which features two spectacular battles, including the climactic confrontation in which the Leafmen, M.K. and Bomba face off against Mandrake and the Boggans that will decide the fate of Queen Tara’s Moonhaven. It’s grand storytelling, giant action, and bigger than life heroes and villains in the ultimate war between good and evil. It’s EPIC. And it’s all happening in a world you’ve never seen before – but is as close as your own backyard. 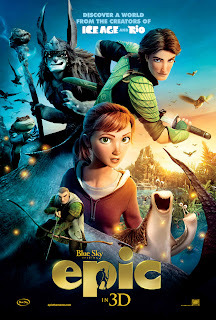 Opening across the nation on May 24, “Epic” in 3D and 2D is from 20th Century Fox to be distributed by Warner Bros.